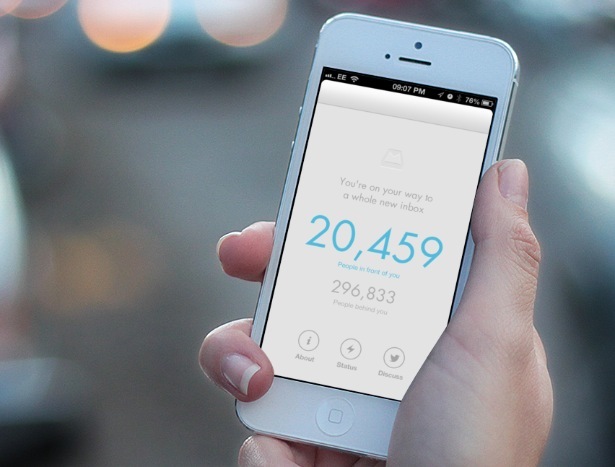 This week saw the launch of the much hyped Mailbox app for iOS. Unfortunately, this launch did not go as smoothly as planned and the backlash raises some interesting questions. I have been fascinated by the rollout of Mailbox app and in particular the queue system they introduced. Mailbox wanted to be transparent and so the app showed your position in the queue. I admire them so much for taking such a transparent approach and for trying something new. However, the reaction of many has not been so positive. People have hated waiting, felt unappreciated and even gone as far as accusing Mailbox of being manipulative. It would be easy to dismiss these complaints as normal internet bitching, but the number and intensity has been surprising. As I thought about their approach I began to realise that in fact there is a lot we can learn from them as website owners and designers. Their mistake exposes some crucial issues in how we interact with users. With that in mind, I have posted some lessons that can be learnt over at econsultancy.com. You might want to check it out.